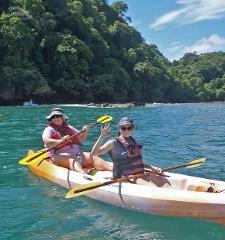 Our 1\2 day outrigger canoe tour is unique to Costa Rica. 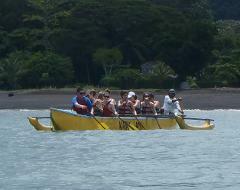 We pioneered the use of outrigger canoes as a great way to take groups on the ocean. Stand Up Paddle Boarding is all the rage, “SUP” is the proper terminology. The concept is simple, stand up on an oversized surfboard and paddle. The view is great and you get a nice workout. 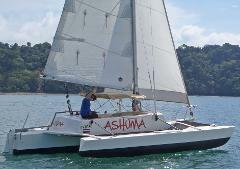 Private sailing charter aboard our 25 ft trimaran Ashuma. Ashuma charters by the hour and the price is the same for 1-6 people. All drinks, snacks, snorkeling equipment and a fishing rod for trolling are provided.